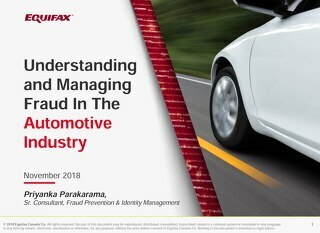 Equifax Canada held a unique client and partner invite-only event on November 8th, 2018 focused on bringing together leaders from the Canadian non-prime auto finance industry to learn more about the current automotive industry climate, with a focus on non-prime lending. Here are some key takeaways presented to the 100+ senior leaders who attended. Concerns about trade policy have affected Canada’s economic outlook despite favourable economic performance. This should change now that USMCA is in place. 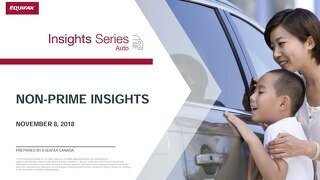 New vehicle sales continue to be strong in both the U.S. and Canada. The shift from cars to trucks continues, with trucks now making up 70 per cent of sales. 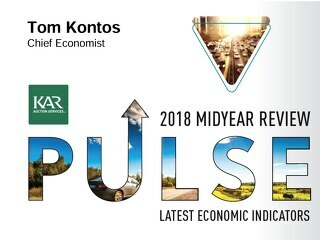 Wholesale used vehicle values in Canada remain near all-time highs, as supply remains tight and U.S. buyers continue to be drawn by the weak Canadian dollar. 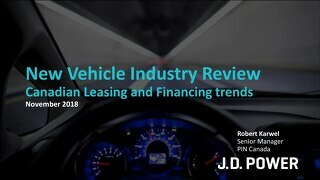 Weakening retail conditions for consumers, and profit pressures for manufacturers will result in some weakening in the auto market, but changes in the use of financial instruments will cushion the downturn. Record prices, consumer spending, and Incentive levels…but we’ve likely hit the top. Incentive growth still powering deals, but more rate hikes will stop this trend. 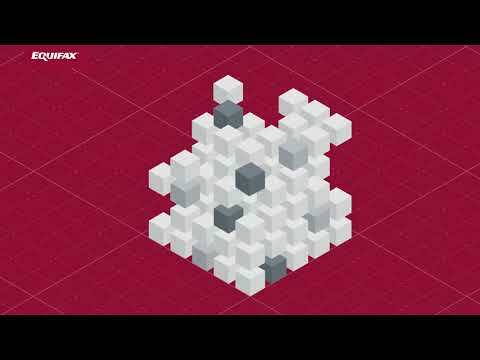 Payments will rise. Lease growth is very strong, and has for the first time in 10 years eroded long-term financing dominance. Not a lot of substantial growth in loans over 7 per cent APR in the last five years in Canada. 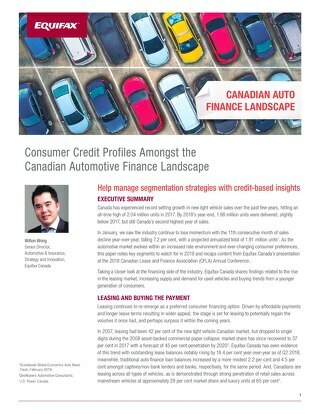 It’s a regionalized issue in Western Canada and very high negative equity amounts will continue to dog this segment of loans….an issue as incentives start to wind down a bit. Canadian debt is increasing, but sustainable for now. Expenses that outpace income may make it hard for consumers to save. 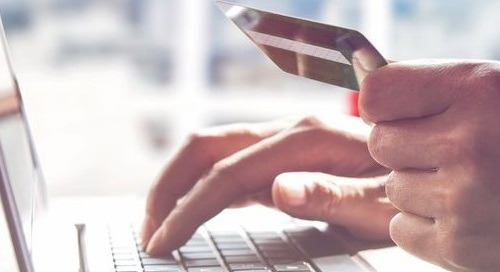 Lenders should watch out for relevant changes in the economic environment – i.e., shift in percentage of consumers who are paying their full credit card balance. Millennials and Generation X are gravitating to purchasing of used cars and offer lenders opportunities to consider segmentation strategies. 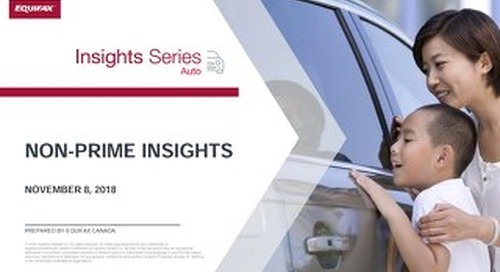 Used vehicle market growth outpacing new; attributed to off-lease shift and better vehicle quality. Understanding consumer behaviours will be key to success in engaging a shift of prospects and buyers towards upfront digital retailing. Non-Prime consumers are unique and should be engaged appropriately. Massive increase in non-prime auto lending that occurred over the last eight years. More stringent measures that are being put into place for more common avenues of Fraud…e.g., Credit Cards. Ease in which identity thieves fabricate identities through the use of purchased private information. Increasing interest rates in Canada will likely lead non-prime lenders to update their lending rates as the gap between prime and non-prime rates narrow. Ability to establish a direct-to-consumer engagement strategy varies with key factors including strength of brand awareness with consumers and ability to avoid dealership disintermediation. Adoption of non-prime adjudication automation in Canada has been slower than in the U.S., but lenders are consciously, but cautiously discussing new data methods by which to improve effectiveness and efficiencies. 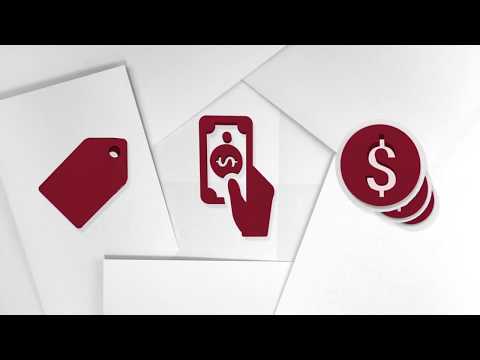 Ready to discover how Equifax Canada's auto team can help you? Click here to contact your Equifax® representative today! 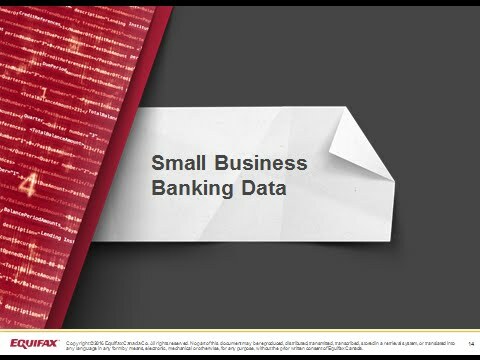 Opinions expressed during this event and summarized here are those of the presenters themselves, are presented for informational purposes only, and do not necessarily reflect the views of their organizations and/or of Equifax Canada Co. Nothing in this article/publication should be considered as legal advice. Wilton Wong, Senior Director, Automotive & Insurance, Strategy and Innovation. 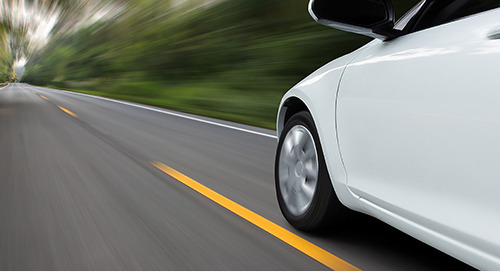 With 17+ years in the financial services industry and working experience across Canada, US and Europe, Wilton has held progressive leadership roles in Automotive Finance, Retail Banking, Private Wealth Management and Asset Management. In his current Strategy & Innovation role, Wilton is responsible for helping define the direction and growth drivers of Equifax's auto and insurance verticals within Canada.